Chris Cornell, the emblematic grunge rock singer whose sweeping voice masked lifelong struggles with drugs and depression, hanged himself late Wednesday moments after finishing a concert. He was 52. The singer, whose life had appeared to take an upward turn over the past decade as he went sober, was found dead at the MGM Grand Detroit hotel after his family contacted first responders, police said. The Wayne County medical examiner conducted an autopsy Thursday and ruled his death a suicide by hanging, spokesman James Martinez said. Mr Cornell had retired to his hotel room after performing with his main band, Soundgarden, at downtown Detroit's Fox Theatre. He closed the show with Soundgarden's song Slaves And Bulldozers but, according to footage posted by fans, inserted lyrics from Led Zeppelin's In My Time Of Dying. But Mr Cornell had sung the medley before and showed no obvious signs of being suicidal, with Soundgarden scheduled to take its tour Friday to Columbus, Ohio. 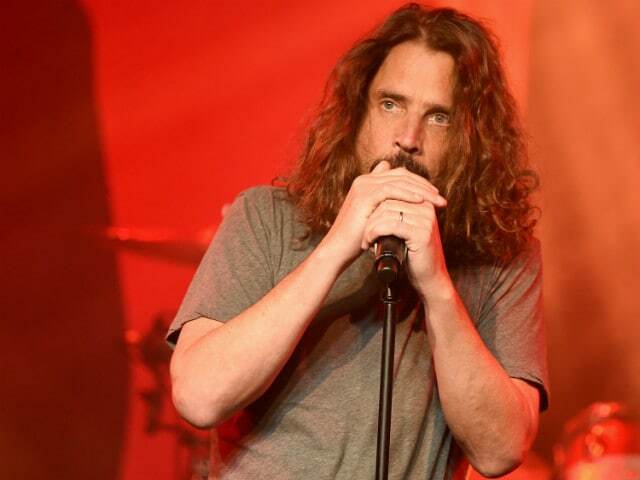 A statement from the singer's publicist said his widow, Vicky Karayiannis Cornell, and the rest of the family "were shocked to learn of his sudden and unexpected passing" and thanked fans for "their continuous love and loyalty." Chris Cornell, with little formal training, possessed one of the music world's most wide-ranging voices - it could swing nearly four octaves, moving from a deep baritone to a screeching high tenor with a chilling vibrato. With his flowing curly hair and often bare chest, Mr Cornell performed Soundgarden hits such as Black Hole Sun, set to dissonant minor chord progressions on guitar. The death closes another chapter in grunge, the subgenre that emerged in Seattle in the late 1980s and combined the rough edges of punk rock with a gloomy introspection. Frontman Kurt Cobain of Nirvana, who towered over the grunge scene, killed himself in 1994 and Stone Temple Pilots singer Scott Weiland died on a tour bus in 2015 from a drug overdose. Pop legend Elton John said he was "shocked and saddened" by the death of Chris Cornell, calling him "a great singer, songwriter and the loveliest man." Led Zeppelin guitarist Jimmy Page tweeted: "RIP Chris Cornell. Incredibly Talented. Incredibly Young. Incredibly Missed." Soundgarden had one of the heaviest sounds in grunge with trappings of heavy metal, even though Cornell cited The Beatles, to whom he listened constantly as a child, as his biggest influence. Chris Cornell, a Seattle native, wrestled with heroin and other drugs as well as depression most of his life, once even calling a metal magazine to confirm a tour cancellation from a payphone at a rehab clinic. In a 1994 interview with Rolling Stone, he said he had used drugs daily from age 13. He never completed high school and said he barely talked to anyone for two years as a teenager. He found his outlet in music, first as a drummer and then a singer and guitarist as he joined guitarist Kim Thayil and bassist Hiro Yamamoto to form Soundgarden. His songs such as Fell On Black Days and The Day I Tried to Live appeared to touch on his darkness, but Chris Cornell would play down deeper meanings that listeners heard in his lyrics. Besides Soundgarden, Cornell founded the early grunge band Temple Of The Dog and sang with Audioslave - a supergroup with members of Rage Against the Machine. With Audioslave, Chris Cornell took a leftist political slant and the band in 2005 became the first US rockers to play a major concert in Cuba. Chris Cornell had sobered up by the mid-2000s and his final decade marked a resurgence of creative energy. Soundgarden, who split in acrimony in 1997, reunited and Cornell released a series of solo albums as well as a theme song for the James Bond film Casino Royale. Asked about his past addictions, Mr Cornell often remarked that drug problems were overlooked among non-famous people. After Weiland's death, the musician told a radio station there was a long history culturally of "not deifying, but glamorizing a little bit, 'the dead guy,' whether it's a rock star or a famous actor." Chris Cornell is survived by three children. Two are with his second wife Karayiannis, a Greek music publicist whom the singer met when she was working in Paris. His last song, The Promise, was the theme to Christian Bale's film of the same name about the Armenian genocide, a term rejected by Turkey. "One promise that always remains / No matter the price," Mr Cornell sings. "A promise to survive, persevere and thrive."